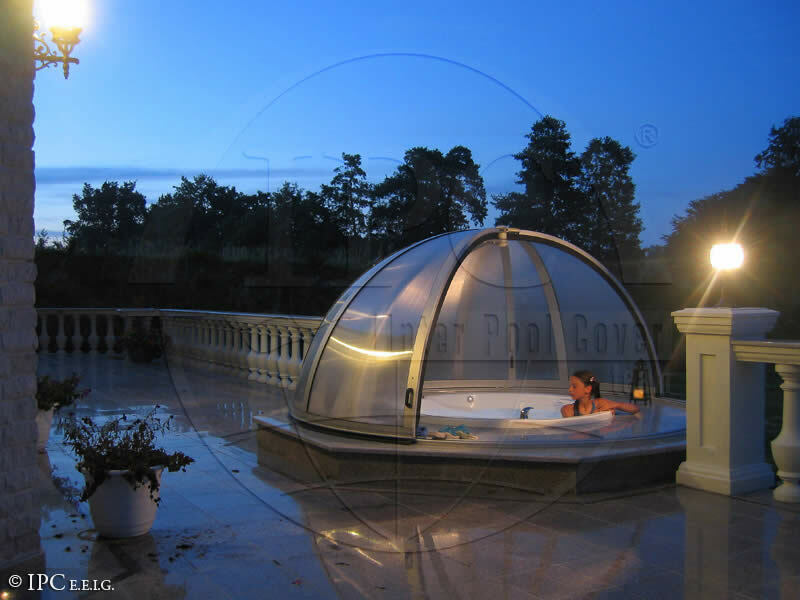 The fascinating structure similar to those seen in “The Thousand and One Nights” or in eastern landscapes. 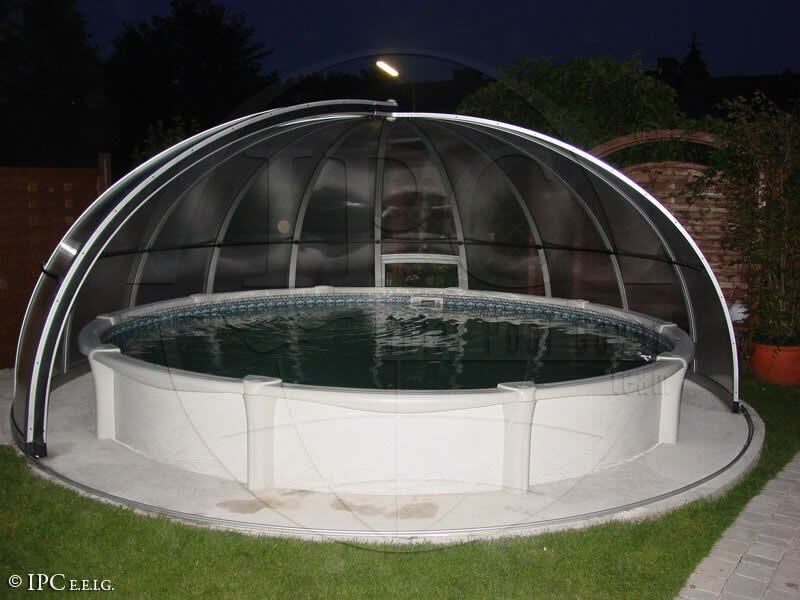 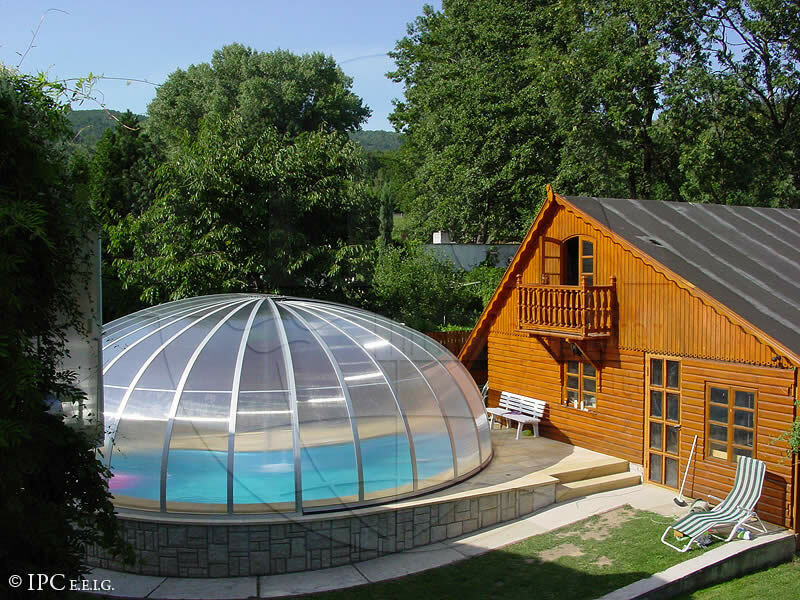 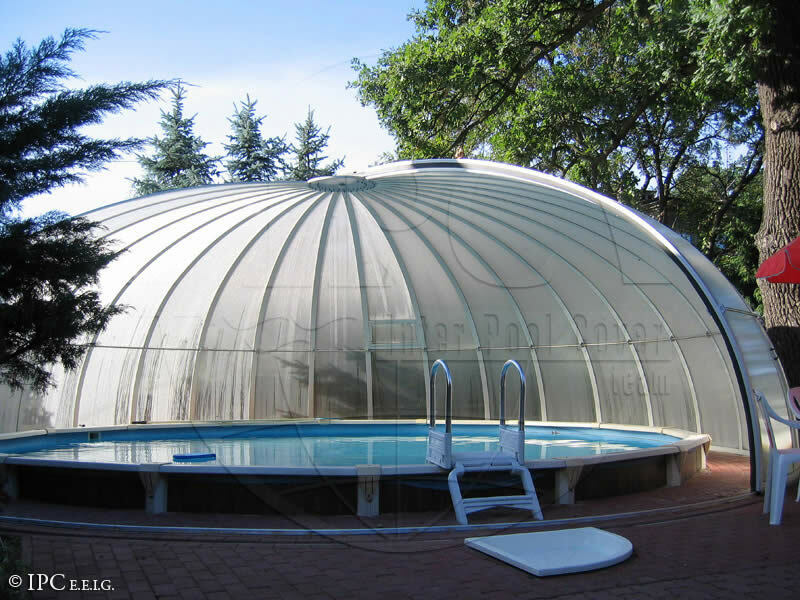 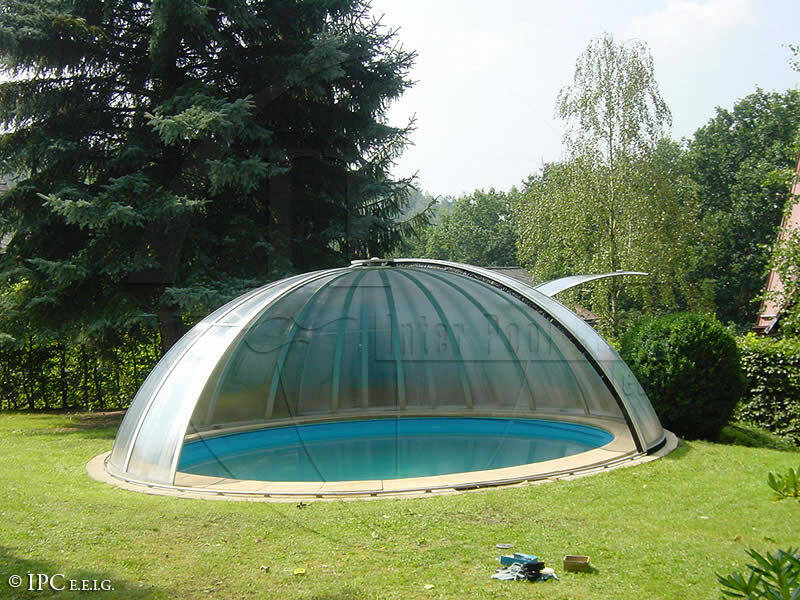 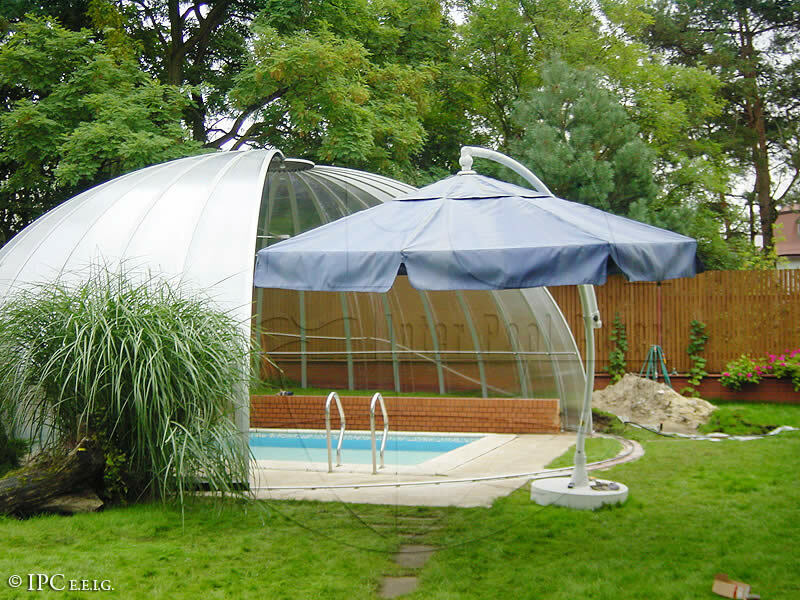 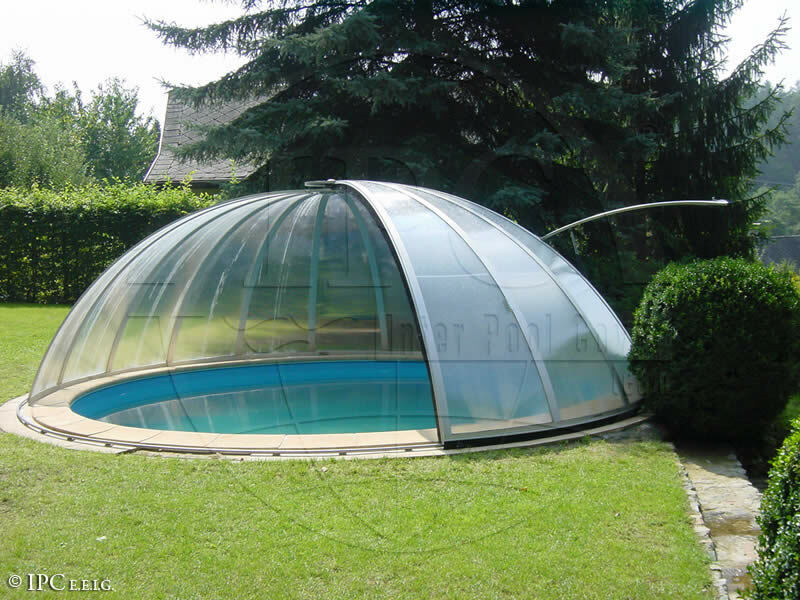 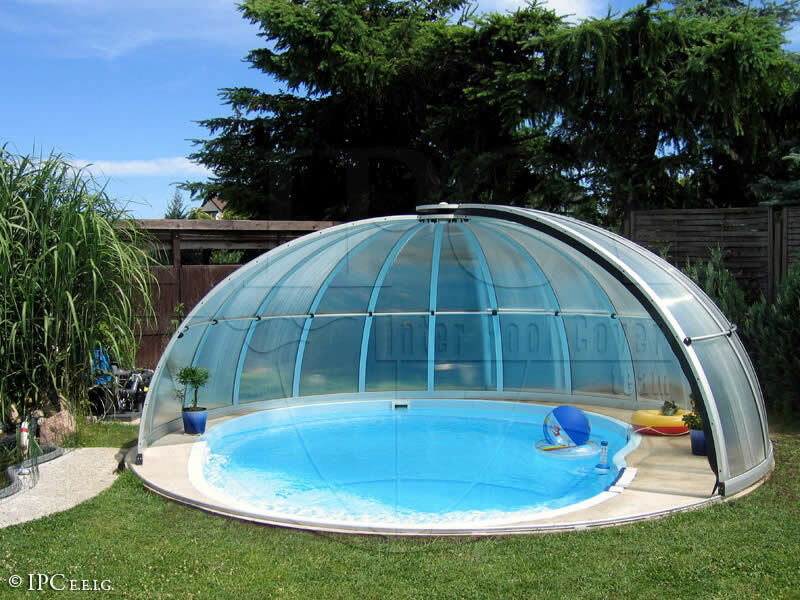 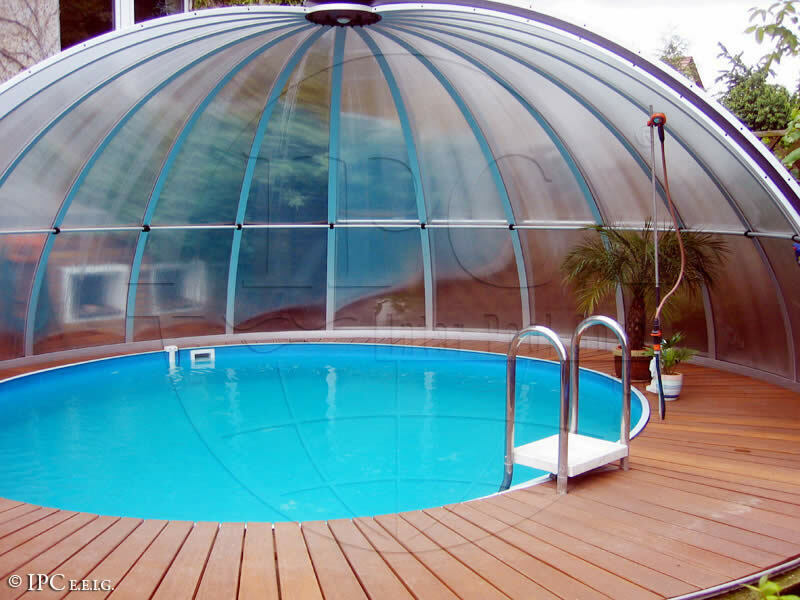 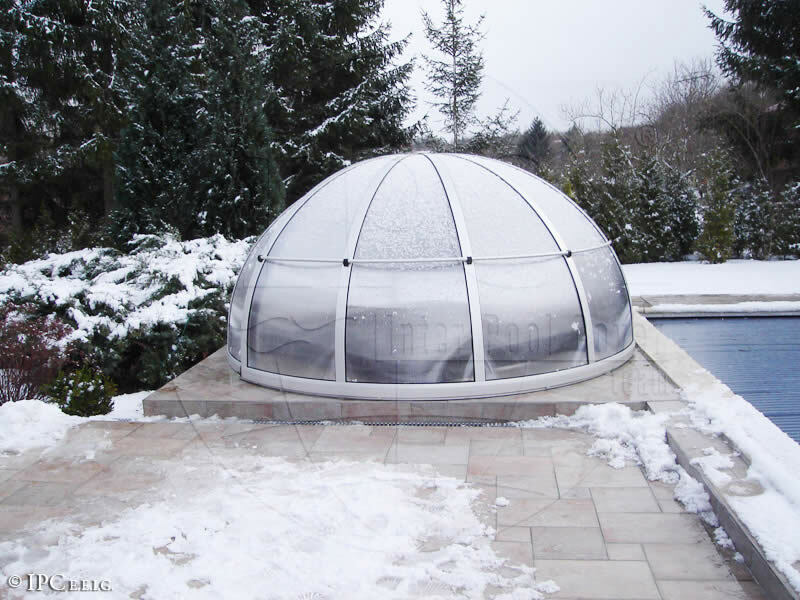 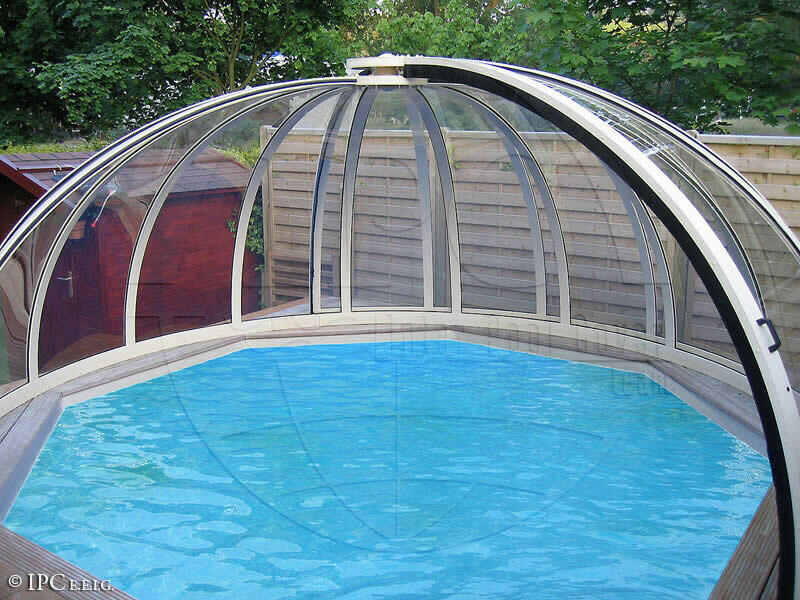 The hemispheric shape guarantees a high degree of insulation for the whole pool and also improves heat retention. 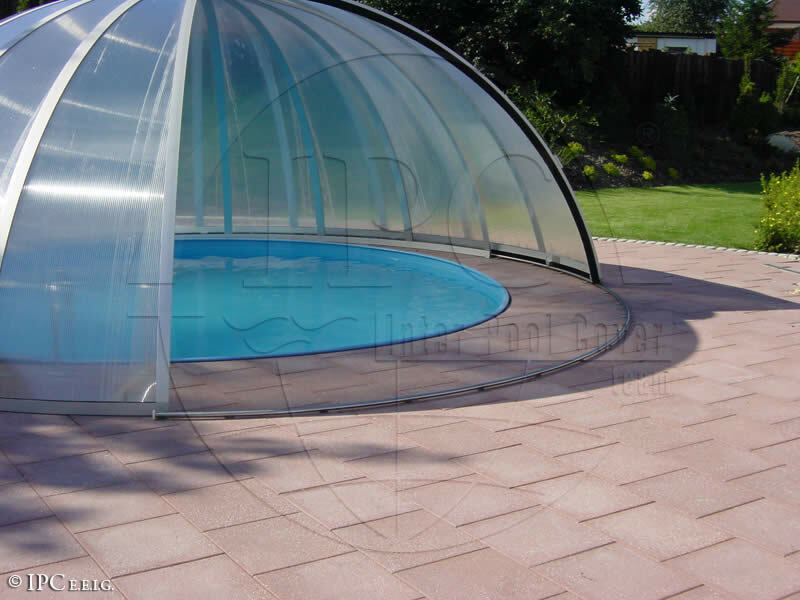 The wall elements may be easily moved on ground rails. 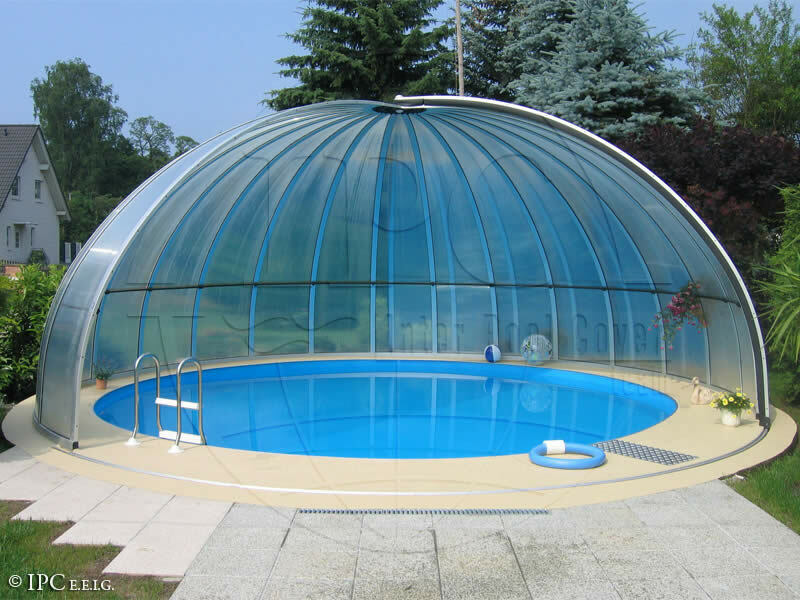 With this system up to one third of the enclosure can be uncovered, which enables the air temperature to be regulated on hot days and allows the sun to shine directly on the pool. 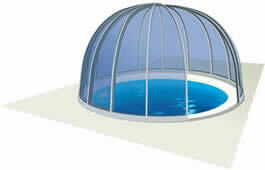 The dome can then rotate 360 degrees. 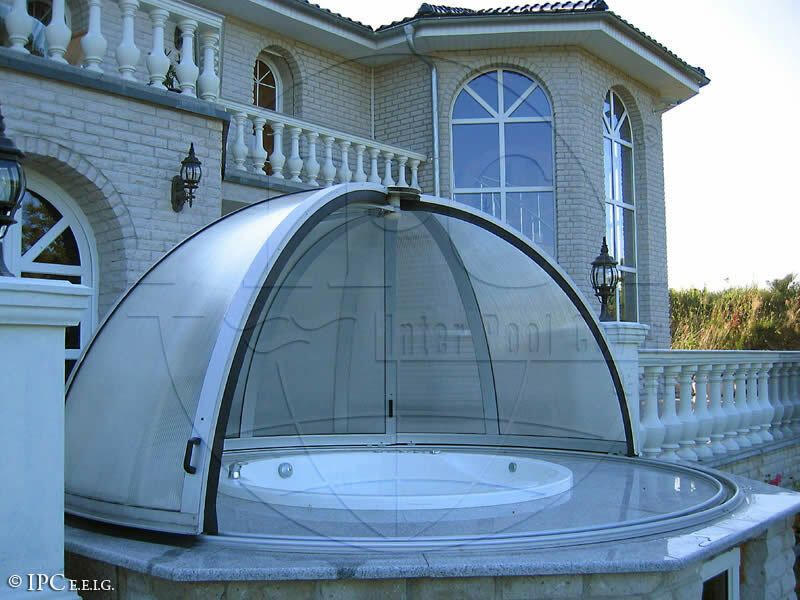 This allows the bathers to choose a view in any direction.